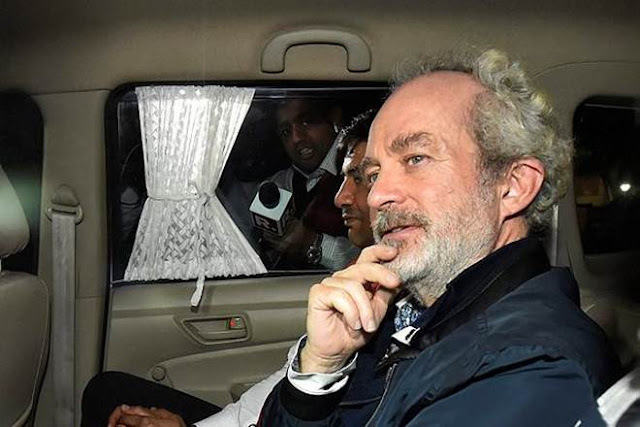 On December 4, 2018, UAE extradited 57-year old UK national Christian Michel James to India. According to India's Central Bureau of Investigation (CBI), he is the alleged middleman in AgustaWestland chopper deal (also known as VVIP Chopper Deal). Under the operation code-named "Unicorn", Michel landed at the New Delhi's Indira Gandhi International Airport on a Gulfstream jet around 10:35 pm. The extradition operation was led by National Security Advisor Ajit Doval and being coordinated by interim CBI Director M. Nageswar Rao, the CBI spokesperson said. 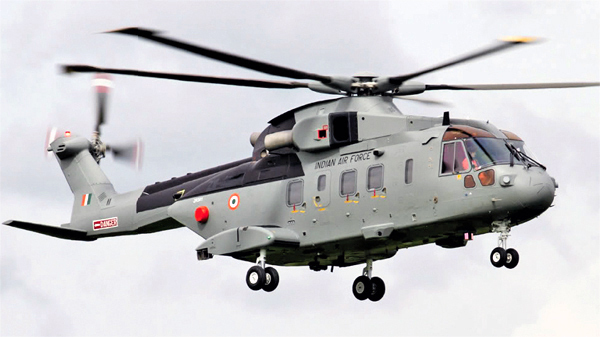 The case involves €560-million (₹3,600-crore) contract for the purchase of 12 AW-101 state-of-the-art high-security helicopters for Very Very Important Person (VVIP) of the Indian establishment like the President, Prime Minister, former PMs and other VIPs. New Delhi froze payments for the helicopters in February 2013 after Italian police arrested Giuseppe Orsi, Finmeccanica’s then chairman and chief executive, for allegedly paying bribes to middlemen to secure the deal. At that time, Orsi denied the charges and was released after three months. At the same time, CBI also launched an official probe into the deal by launching a preliminary inquiry against ex-Indian Air Force (IAF) chief SP Tyagi and 11 others (incl. his three cousins Sanjeev Tyagi, Rajeev Tyagi, and Sandeep Tyagi). By March 2013, CBI filed FIR against Tyagi and 11 others on charges of cheating and alleged criminal conspiracy. Later, a Comptroller Auditor General's (CAG) report pointed out that the lowering of the altitude requirement (4500 meters) was against the operational requirement of the procured helicopters, especially in many areas of the north and northeast of India. In addition, the report also pointed at the "single vendor situation" which remained even after lowering the altitude requirement, because of which the AW-101 of AgustaWestland was selected. According to CBI's formal charge sheet (which was filed in 2017), Tyagi allegedly brought down the Operational Requirement (OR) of the helicopter altitude from 6000 m to 4500 m. Also, the cabin height was brought down to 1.8 meters. These tweaks actually affected the contours of the contract to favor AgustaWestland ahead of the bidding process. On November 11, 2013, India's Ministry of Defence (MoD) asked AgustaWestland to reply by November 26 to its final show cause notice for cancellation of the deal. The company officials met MoD officials to give their side of the story. In a subsequent press release later, AgustaWestland stated: "In accordance with the rules of arbitration under the Indian Arbitration and Conciliation Act, 1996, AgustaWestland is nominating former Supreme Court Judge and former Chief Justice of Kerala High Court, Justice B N Srikrishna; a well-known jurist of unimpeachable experience and reputation." In January 2014, the Government of India (under UPA administration) unilaterally terminated the deal for the breach of the "Pre-contract Integrity Pact" on the basis of allegations of bribery. In July 2014, IAF grounded its fleet of three AW-101 helicopters which were based out of Palam Air Base in New Delhi. When asked about the reasons of the grounding of these choppers, at that time, IAF spokesperson Group Captain Gerard Galway said: "The fleet of these choppers is not flying for quite some time now as they are being preserved due to lack of spares". However, on October 9, 2014, at the end of the proceedings of the first instance, he was fully acquitted ("the fact did not occur") of international corruption and bribery allegations in the helicopter case, and was sentenced to two years in prison (sentence has been suspended) for false invoicing. On June 2016, India's Enforcement Directorate (ED) filed charge sheet against Michel accusing him of receiving €30 million (approx. ₹225 crore) from the AgustaWestland for bribing Indian bureaucrats, politicians, and IAF officials. His name cropped up in 2012 along with Guido Haschke and Carlo Gerosa, however, he was able to evade the Indian authorities (both CBI and ED) at that time. All three were part of a team appointed by the helicopter manufacturer for "scouting and monitoring activities" with regard to the acquisition of helicopters in India. His diaries, seized by the Italian police and later handed over to the CBI, reveal that he might have paid six million euros to IAF officers, €8.4 million to bureaucrats in addition to €15-€16 million to an unidentified political family. The ED investigation found that Michel remitted part of the money he received from AgustaWestland to a media firm he floated in Delhi through his Dubai-based firm Global Services - one among a maze of shell companies that he had set up. The agency described the fund routing as "criminal activity". Similar payments were allegedly made to various other companies, including Krishnom, a firm jointly owned by Tyagi, which received ₹1 crore. Both CBI and ED had notified Interpol for a red corner notice against him after the court issued a non-bailable warrant against Michel in 2016. In February 2017, Michel was arrested by UAE authorities and later, this led to his extradition. Michel's extradition has been termed as "smear campaign" by Indian National Congress (INC). INC's chief spokesperson Randeep Surjewala, in a statement, alleged that facing "imminent defeat" in state polls, Prime Minister Modi and the BJP government were seeking to "weave a web of lies" and construct a "mesh of deception to hoodwink" the people of India in the chopper case. On being questioned about Michel's extradition, the current President of the INC Rahul Gandhi said, "The Congress party has made its postilion very very clear in this matter earlier in a press conference. Prime minister should explain why he gave ₹30,000 crore to Mr. Anil Ambani".